EMTs in the state of Georgia receive intensive training. Individuals in this line of work will learn critical life saving skills and how to intervene in the field to help patients who have serious illnesses or injuries. There are various levels of EMTs in Georgia, with Paramedics being able to carry out the most intensive of pre-hospital treatments and medical intervention. 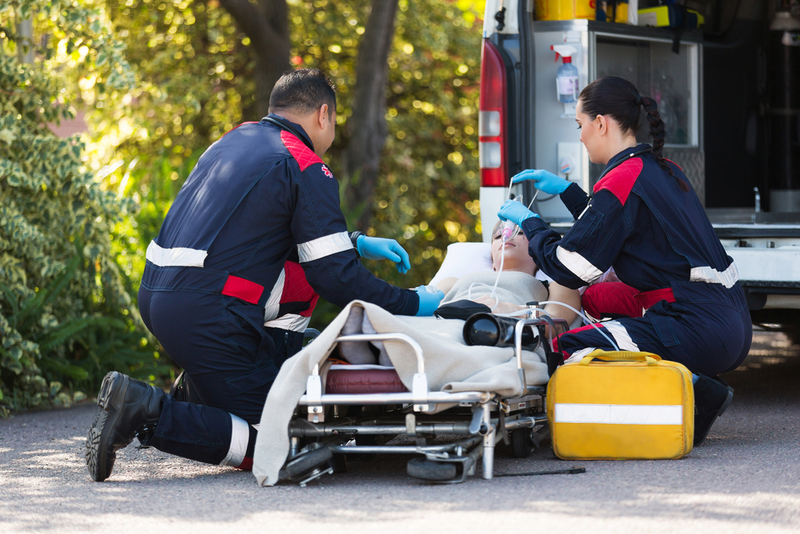 EMT training programs provide students with the background knowledge they need to provide safe, ethical, effective and kind care to patients in their scariest moments. Program lengths and curriculum vary from one course to another so long as they meet the minimum requirements for licensing in the state. Is a career as an EMT in Georgia a good choice for me? EMTs must either be high school graduates or have completed their GED. Usually you must be 18 years of age and must hold a driver’s license valid in the state. It will be necessary to submit to background checks and fitness/health evaluations to become an EMT. You will need to have a TB test and to be up to date on all required vaccines. In the state of Georgia there are various EMS careers including: entry level EMTs, Intermediate EMTS and Paramedics. All EMS providers will be trained to carry out some level of life sustaining care in emergency settings. However, paramedics will have the most advanced training and can perform duties that other EMTs cannot. The training you receive will depend on your intended EMT level but can include things like: provide pre-hospital care for soft tissue injury, bone injury, head, neck and spinal injury. You will be trained to perform CPR. Some EMTs/Paramedics are trained to use cardiac monitors and to provide more advanced airway and cardiac care management. You may receiving training to administer certain medications or IVs (usually at the paramedic level). You will also learn about providing good care to your patient, communicating well with patients, their family and other members of the EMS team. You will learn about your scope of practice, the legalities of providing emergency care in the field and how to treat patients with respect and dignity. There are a lot of options for men and women wishing to become EMTS. A variety of programs are offered in locations throughout the state of Georgia. Some are offered at technical, medical or state colleges and others through Ambulance Companies and adult learning centers. Here are a few examples of some training programs within the state of Georgia. This college offers a few different emergency medical services courses. Some are entry level programs, while others are for individuals who are already licensed as EMTs. Courses vary in length and in credit hours or training modules. EMT Certificate Program-This is the entryway to a career as an EMT. The program includes 16 credit hours of study. Students will have classroom instruction and then will need to gain experience carrying out duties in the field. The AEMT certificate provides more advanced EMT training. To enroll in this course, an individual must already be a certified basic level EMT. The individual will then complete 10 additional credit hours of extended EMT training to earn their certificate. A Paramedic Diploma Program is offered for EMTs who wish to learn to carry out more life saving duties. This program covers 60 credit hours of instruction and hands on training. It will take 4 semesters or more to complete. Associate Degree in Paramedic Technology is also offered. This program takes 70 credit hours to complete. Students will take a few more classes than those students enrolled in the Paramedic Diploma Program. Tuition and Fees: Tuition was last recorded as around $2,279 per year for residents of Georgia and about $4,199 for non residents. School Type and Setting: This is a public school located in a city of mid size and population. It is a two year school. This school offers two EMS programs: The EMT Certificate program and the EMT certificate credit. An individual cannot enroll in the AEMT program unless they are already licensed as a basic EMT. The EMT certificate of study prepares students to work as basic level EMTs. This program covers 16 credit hours of study. This will include classroom instruction and field training. The AEMT certificate program builds on information students already learned when becoming an entry level EMT. Students will learn to carry out even more pre-hospital procedures than they have been able to do as a basic EMT. This program covers 10 credit hours of study. Tuition and Fees: Tuition was last noted as being around $2, 500 for state residents and around $4500 for non state residents. Darton state college provides some EMT courses. They do not have an EMT-Basic course, however. The courses they offer are for individuals who are already licensed as EMT Basics. They offer both an EMS Certificate and an A.S. EMS degree. The AS program takes a bit longer to complete. You will take some general education and elective courses if you attend the Associate Degree program. The EMS certificate prepares students to work as Paramedics. After the first two semesters of the Paramedic Program, students can receive their EMT-Intermediate Certification. Additional coursework is then required to receive the Paramedic Certificate (EMS certificate). There is also an Associate of Science EMS degree that trains individuals to be Paramedics. The core paramedic classroom, lab and hands on training are the same for both programs. However, students taking the A.S.track, will be completing some general education and elective requirements to in order to complete their degree. Tuition and Fees: Tuition and fees were last listed as being around $3200 for in state students and about $8,800 for out of state students. School Type and Setting: This is a two year college and it is located in a small city area. 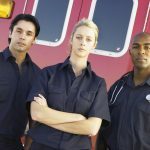 These are just a couple examples of the various EMT training programs that you can find in a location near you within the state of Georgia. Can I become an EMT at 16? No, you need to be at least 18 to enroll in a training program. And you will need to be a high school graduate. Can I become a Paramedic through hands on training as an EMT? In short, the answer is no. You will need more training and coursework to become a Paramedic if you are an EMT-B or EMT-I. That said some of your training to become an EMT might be applicable towards some of the credits needed to become a Paramedic. Will it be hard to find a job as an EMT? We can’t say for sure but there are typically good job prospects for people working in the EMS field. You can find work in not only the public, but also the private work sectors. Can you get help paying for EMT training? This depends on your circumstances and the program you attend. Some EMT and Paramedic courses are eligible for financial aid. This is especially true when taking a program that uses credit hours. You might also receive help paying for tuition through programs for people with a low income or who are unemployed or recently laid off from a job. If you served or are serving in the military, there may also be educational benefits available to you.